Stephen T. Higgins, Ph.D., is Director of the University of Vermont’s (UVM) Center on Behavior and Health, and Principle Investigator on five NIH grants on the general topic of behavior and health, including two center grants, two research grants, and an institutionaltrainingaward. 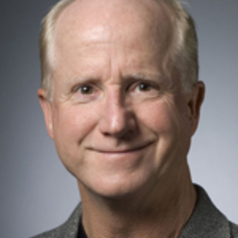 HeistheVirginiaH.Donaldson Endowed Professor of Translational Science in the Departments of Psychiatry and Psychology and serves as Vice Chair of Psychiatry. He has held many national scientific leadership positions, including terms as President of the College on Problems of Drug Dependence and the American Psychological Association’s Division on Psychopharmacology and Substance Abuse. He is the author of more than 300 journal articles and invited book chapters and editor of a dozen volumes and therapist manuals in the area of behavior and health.